Since WIRED’s June cover for National Geek Dad Day released, some folks have been buzzing about whether the tech magazine is singling out dads too much. NFI praises WIRED for celebrating dads and encouraging intentional time with their kids. The haters just don’t get it. The current issue instructs dads on "How to be a Geek Dad," by building hovercrafts, making electric play-doh, building forts with broomsticks and string, and basically being the coolest, most amazing dads ever. But some aren’t happy with Geek Dad Day. Specifically, Katie J.M. Baker at Jezebel writes an article titled, “Wired Magazine Can’t Seem to Stop Alienating Women” and thinks the magazine shouldn’t single out and celebrate men, even on Father’s Day. After Baker complains about the number of female contributors and lack of features written by women at WIRED, she asks, “shouldn't a magazine that markets itself as a general interest publication know better?” Sadly, Baker is fighting her battle on the wrong day in the wrong way. Father absence is a real problem – it matters. Twenty-four million children in America -- one out of three – don’t have dads in the home. Father absence is linked to poverty, crime, teen pregnancy, and education. Whether a father is absent or present impacts society – for good or for ill. The father factor in education is one such example. The National Center for Education Statistics says half of all children with involved fathers reported getting mostly A's through 12th grade, compared to 35.2% of children with absent fathers. Any effort encouraging dads to “Grab your safety glasses and your kids…” is worth applauding, especially around Father’s Day. Do we not celebrate what we want more of, like birthdays and anniversaries? If we want more good dads, we should celebrate them. Father’s Day is not the day to debate gender issues, it’s a time to celebrate dads. Baker criticizes WIRED for not engaging all parents; but do we not see fathers missing from media every day of the year? Plus, good fathers are a benefit to mothers. When we celebrate fathers we are helping mothers. Specifically, 93% of mothers agreed (67% strongly agreed) that there is a father absence crisis in this country (see Mama Says). I disagree with Baker when she writes that the current issue of WIRED should “piss off” women. Of course we need more "geek women." But, getting fathers involved will actually create more geek women. Geek fathers have sons AND daughters. Geek fathers have a unique opportunity to mentor their daughters. Research shows girls with involved fathers score at significantly higher levels than those without fathers (See Father Facts). 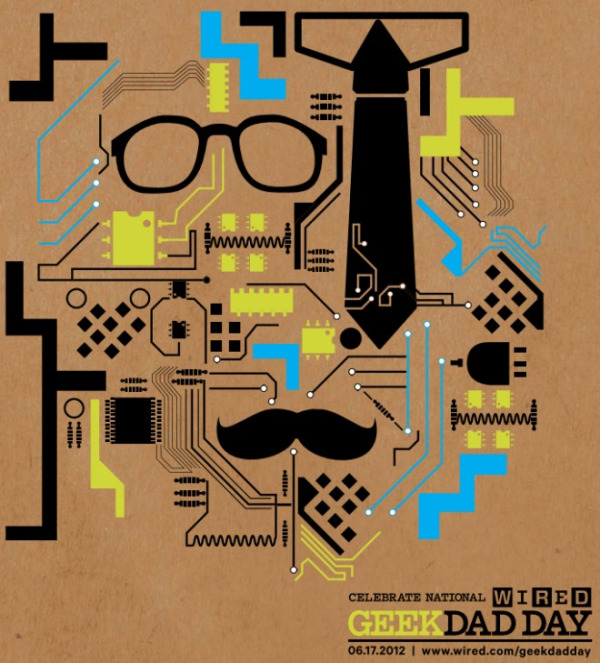 The Geek Dad issue of WIRED encourages dads to grab safety glasses and their children, we applaud WIRED and encourage more companies to be creative with involving dads in the lives of their children. We should celebrate and encourage geek men to be good geek fathers, because they will have geek daughters, who become geek women, who become geek mothers. Pass me the safety glasses. If being a Geek Dad is wrong, I don’t want to be right.